of independently owned and operated hypnosis locations. 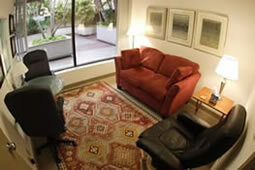 Our approved hypnosis locations have been helping smokers since our organization was founded in 2004. Hypnosis for smoking cessation is a specialty, and many “hypnotists” claim to provide services to stop smoking, but may or may not be qualified to help you get you the results you want. We make sure that you see the best, and connect you directly to the one of your choice. Let us be your New Years Re-Solution, instead of just a resolution. How do I keep from gaining weight? How do I keep from going “Stir Crazy” after stopping smoking? What do I do with all the free time I have now that I am no longer a smoker? from the “triggers” that “remind” you to smoke. The hypnotist will then simply help you disassociate your habit from your everyday triggers. Boredom, stress, after a meal, when you wake up, on a work break, driving in the car, watching TV…. Sound familiar? If you want that benefit, our staff will aide you in finding a reputable hypnosis location near you. an “extra month” longer per year by stopping smoking? 8-12 minutes off of your life. you don’t want anymore. Why? On a scale of 1 to 10, how much do you want to stop smoking now? The only risk with hypnosis is that you enter into it answering a “4” or less. desire the benefits of feeling good as a non-smoker. The person must want to stop smoking for the right reason. Even though they sound good, some of the wrong reasons are because the doctor wants you to stop, your spouse or your kids are pressuring you to stop or because you fear sickness or death. The only right reason to stop smoking from a hypnosis point of view, is if you can hold a cigarette in your hand , look at it and honestly say to that cigarette, “I don’t like you and I don’t want you in my life anymore.” This, and only this mental attitude allows the hypnosis suggestions to enter your subconscious mind and change can begin. The other “wrong” reasons can then become excellent support attitudes. One on One Sessions are Very Different From Group seminars, Because it is Tailored to Help the Individual. This will work for some, but not all of the people who come to the session. Many different hypnotherapists practice various techniques. For some, aversion therapy works. However, if the smoker already knows about the bad taste, the bad effects, and is still smoking, the aversion therapy is a bit old-fashioned. Another, more powerful technique is to reach out to the subconscious mind, and address the part that is the smoking part. Regress to the first cigarette, and have the client relive it. Have them remember just how terrible that first cigarette was. But they kept smoking to prove something: that they were just as cool as their friends to be smoking. It was a rite of passage from being a kid to being an adult. Ask the smoking part in hypnosis if they are still friends with the people who give them the first cigarette. If the answer is no, ask, why are you still trying to impress them? There is no reason, other than it is a habit. They have no one to impress that they are an adult. And even so, smoking a cigarette is no proof. Working from that position, it is more likely that the client will be able to find a substitute behavior for the smoking and quit. Check the NGH site. The AMA recognized Hypnosis in 1954 as an adjunct or complementary therapy to traditional medicine. Also, comments that hypnosis should only be done by a psychiatrist or psychologist are not entirely valid. A certified hypnotherapist is likely to have far more training, as it is specific. 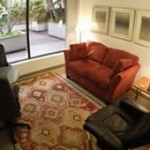 There is no guarantee that a psychiatrist will provide better solutions than a certified hypnotherapist. Milton Erickson was arguably the best of hypnotherapists. He was unique in the way he approached his clients. Traditional hypnotists would give direct commands to a client, not always resulting in measurable success. The subconscious mind of the client might reject the suggestions. Erickson had insights about people, and one of them was that people don’t alway follow orders. But, if given an example, a hypnotic metaphor, the subconscious mind could act on it and change. He understood that by using certain language patterns, a mind could enter into a hypnotic state, ready for change. Many of these language patterns are found in what is now called the Milton Model, and can be found on the internet. When a client can easily enter a hypnotic state, change can be fairly rapid, resulting in a better outcome. A set of cards, out of print, but being reissued, is called the Zebu cards. It is a deck of playing cards, and on each is an Ericksonian language patterns. Practice the pattern, and learn it. Similar to Zebu cards are Salad cards, produced in England. They are similar in construct. Once the patterns are learned, they can be used with clients to establish rapport and build to a successful end. Two of Erickson’s students, Bandler and Grinder, modeled Erickson and his work, and developed NeuroLinguistis Programming, or NLP, which employs many of the same technicques of Erickson Hypnosis. and the establishment of selective thinking”. Critical Faculty: The part of the Conscious Mind that passes judgment. Selective Thinking: Whatever you believe wholeheartedly. The individual results are the results experienced by the persons themselves. It is possible that your experience would be different. Usually that is based on your desire to change your behavior, as we cannot make you do anything against your will or if you are doing this under duress. You need to speak with the specific practitioner with whom your are considering, and ask them about their specific protocol. Additionally, this is not any type of substitute for medical, psychological, or psychiatric help, and we always encourage you to speak with your doctor regarding and type of life style change you are considering. Last updated by Mark Barrus at October 4, 2018 . Acknowledging what that cigarette means to the client, recognizing the triggers that get them to reach for a cigarette, the fears the client may have regarding giving up smoking, exploring the stressor's currently in the clients life is of upmost importance for a successful session. The information you gain in the pre hypnosis session can help to individualize the therapist dialog for that specific client. Cope More Smoking was, for me, a cure for boredom. I was never bored in the 25 years that I smoked, because I could always "kill" 10 minutes with a cigarette.